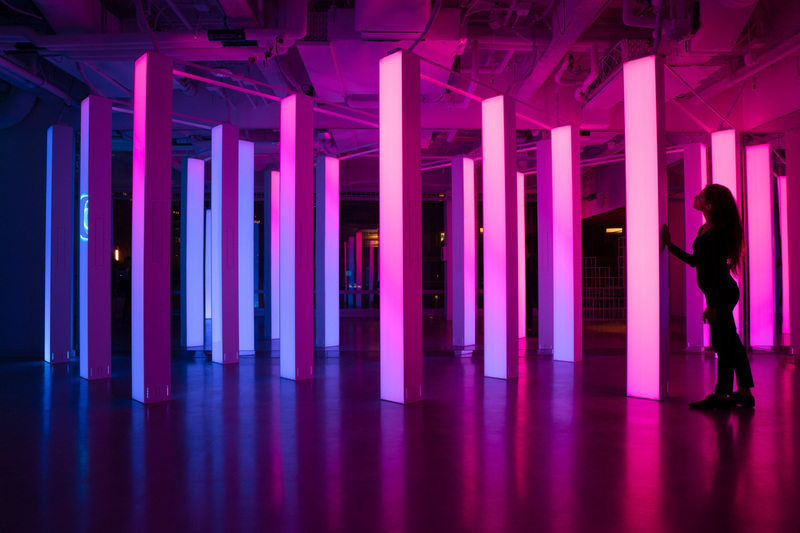 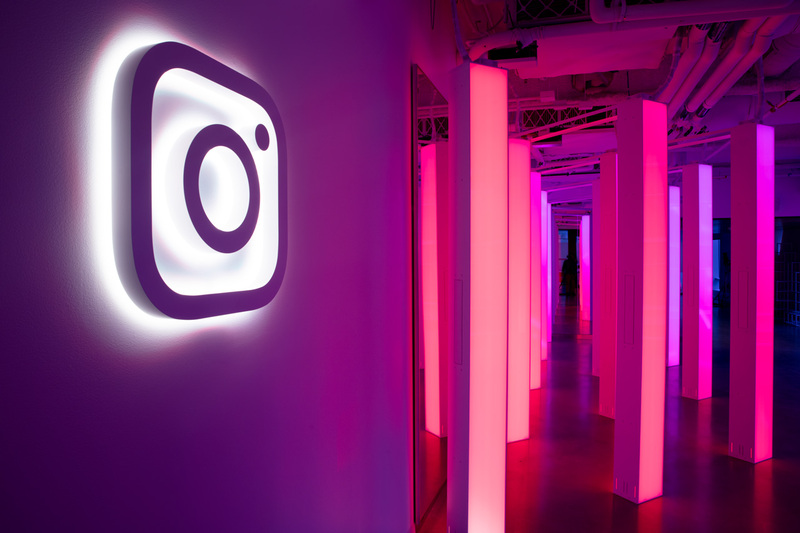 Sixteen columns populate the lobby of the new Instagram office in SF, displaying content from the platform and lighting up the space with the brand gradients. 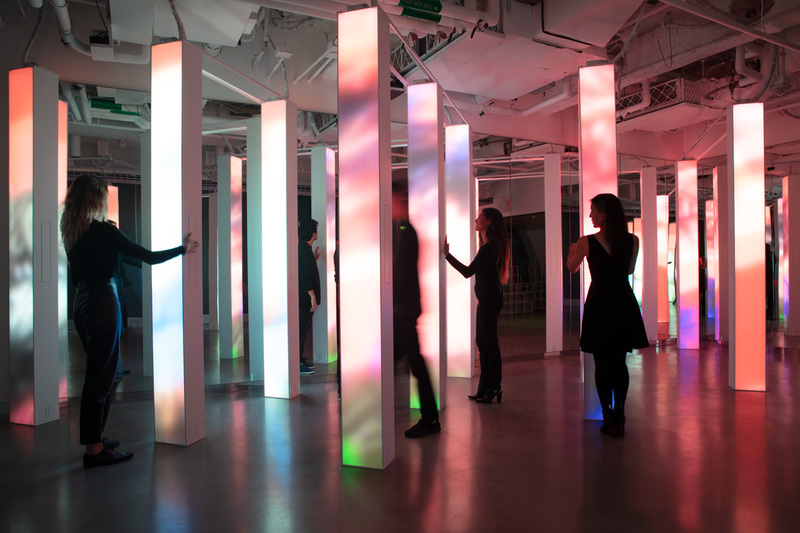 The sculpture engages guests in both digital exploration and creation. 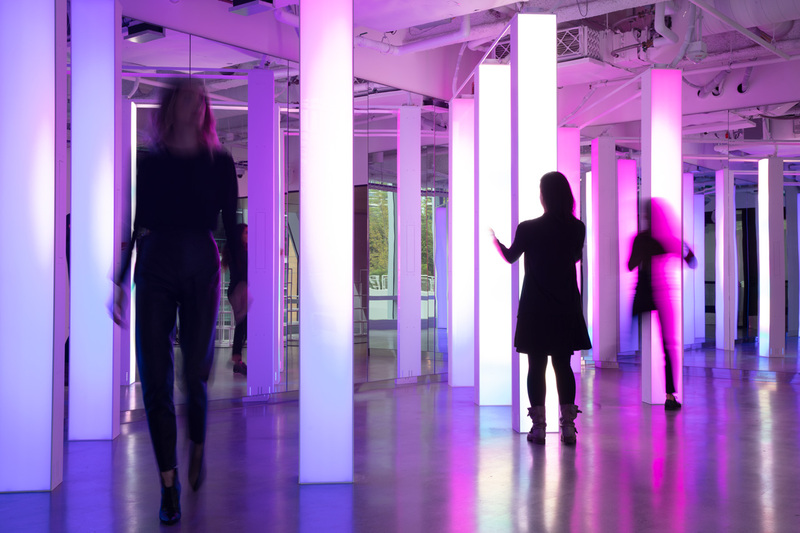 By touching the columns, visitors are able to cycle through the art of different creators, while also creating a beautiful backdrop for their own pictures. 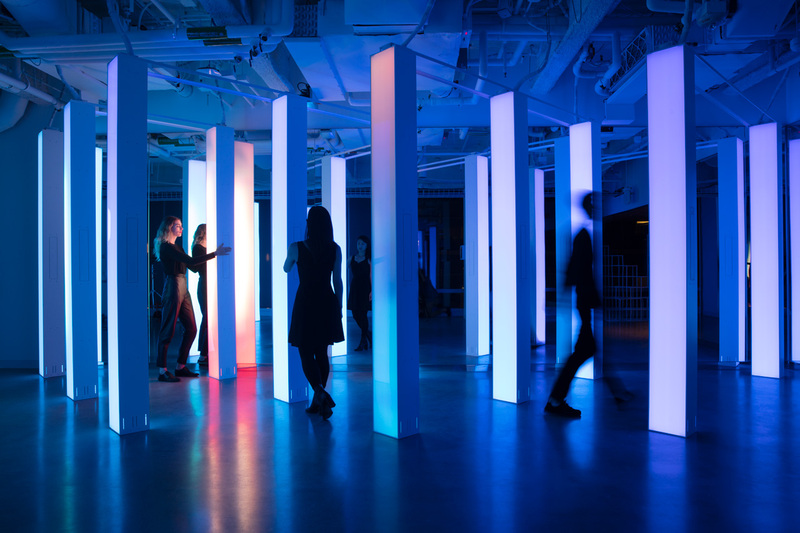 Spatial audio and game mechanics encourage play and collaboration, all reflecting the company’s focus on community, self expression and fun.